Must See asked Australian comedian Jonathan Duffy, also known as Jono, to answer a few questions about Iceland. Jono has been living in the land of the ice and snow for almost two years and considers himself an Icelander. He loves tuna salad, which many Icelanders hate, and recommends that tourists hike up mount Esja to overlook Reykjavík city. Jono is well respected in the stand up scene. Why on earth did you move to Iceland? Was it hard to find work in the beginning? What was the biggest shock when you came here in the beginning? “Everyone tells you that Iceland is so small everyone knows everyone. I used to laugh at that and then I realized it was true. Jono loves tuna salad which you can get in every store. What’s the difference between living in Australia and living in Iceland? How are the Icelandic people? “They are so relaxed about organisation it can sometimes be annoying. They have a saying here “Þetta reddast”, which means “it’ll happen”. They say it about almost everything. In Australia, people are really on time to everything and are really sorry when they’re late. Here, when you say a show starts at 8 pm, you’ll be lucky if it starts at 8.30 pm. Which places should foreign travelers definitely visit? Which places should you absolutely not visit? Favorite Icelandic word or phrase? 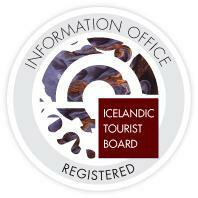 Do you consider yourself an Icelander yet? What do you want to say to all the foreigners that want to visit Iceland? If you want to see Jono in action you should check out his show Australiana which is on from Saturday the 28th of January at Tjarnarbíó theater. See more on Facebook.